On this page we will post occasional reviews of interesting and unusual live theater, opera, and music performances. VANESSA. Samuel Barber. Libretto by Gian Carlo Menotti. New York City Opera. November 2007. Wealthy Vanessa once had a passionate affair with a man named Anatol, but when it ended, she retreated to her huge home, covered all the mirrors and paintings of herself, and foolishly waited twenty years for Anatol to return to her. When he finally arrives, he turns out not to be Anatol at all, but his son and namesake, who promptly hits on Vanessa’s niece Erika and knocks her up. Erika is not blind to shifty freeloader Anatol’s flaws but Vanessa gradually accepts him and falls thoroughly in love with the wastrel. As the couple leave for Paris to live in improbable bliss, Erika decides it is her turn to wait for the man of her dreams (?) to return to her and orders the mirrors and paintings again covered over. Okay, the story of Vanessa shouldn’t be taken too literally – it certainly examines how people can become obsessed with someone, such as Anatol, who is utterly unworthy of their interest – but Barber and Menotti would certainly have been pleased with this wonderful production at NYCO. First of all, congratulations are in order for set designer Michael Yeargan who avoided the trendy avant garde approach and came up with an attractive, functional set that didn’t noisily or stupidly compete with the music and singers. Said music was well-conducted by Anne Manson, and the singers were all in good form. The story of Vanessa is a little dopey, and the characters are paper-thin, but there are lovely moments in the score, which include notable arias for both Vanessa and her niece Erika in act one, a couple of fine duets in later acts, and a melodious closing quintet to send the audience home happy. Lauren Flanagan was Vanessa, with Katharine Goeldner as Erika, Ryan MacPherson as Anatol, Rosalind Elias as Vanessa’s mother, Richard Stilwell as the doctor, and Branch Fields as the Major-Domo; all were in top form. Vanessa may not be one of the world’s greatest operas by any means, but taken on its own terms, as this production made clear, it is not without its charms and a basically romantic lyricism of its own. IL TRITTICO. Puccini. Metropolitan Opera. May 1st, 2007. This was a superb presentation of Puccini's evening of three one-act operas, beginning with Il tabarro (the cloak), followed by Suor Angelica, and finishing with Gianni Schicchi. Director Jack O'Brien's production, with set designs by Douglas W. Schmidt, was a stunner -- the sets complemented the music and action instead of distracting us from them -- and more to the point there were some wonderful singers in evidence. As James Levine was ill, he was replaced at the podium by Joseph Colaneri who conducted with vigor. Il tabarro takes place on a boat in what appeared to be a tributary of the main river, with a factory across the narrow channel and a bridge spanning the stage from left to right high overhead. Salvatore Licitra, a dramatic tenor, made a strong impression in the role of young lover Luigi. Juan Pons' voice is not quite what it used to be, but he was still rather effective as Michele, who is married to Giorgetta. It may have been an off night for Maria Guleghina, who sang the role, or verismo may not be her forte, but her voice was all over the lot, unpleasant and haggard. 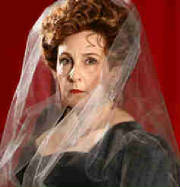 Judging from this performance she might have to stick to Mama Lucia from Cavalleria from now on. 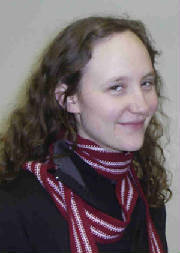 Much better than Guleghina was Stephanie Blyth, who appeared in all three operas, singing the role of Frugola in the first installment. All in all, a truly great evening at the Met. JENUFA. Janacek. Metropolitan Opera. This production of Janacek's opera is excellent on virtually every level. Jiri Belohlavek conducts this clearly verismo score with vigor and enthusiasm. Karita Mattila scores in the title role but all of the singers give superior performances. While the score doesn't consist of one “hit” number after another, it is still quite lyrical, melodious, and well-orchestrated by Janacek. Janacek handles all of the highly dramatic situations in the opera with aplomb. The production design by Frank Phillip Schlössmann is attractive and striking without being so oddball that it distracts from the music and singing; Schlössmann also did the costumes. Lighting design by Max Keller and entire production supervised by Olivier Tambosi. This one is a real winner for the Met. LA GIOCONDA. Metropolitan Opera. October 4th, 2006. This was a workmanlike if somewhat uninspired production of Ponchielli's great romantic melodrama. Although the story, from Victor Hugo, has its fascinating aspects, the libretto is rather clumsy, but who really cares when its Ponchielli's great, soaring melodies that make this matter. Sopranos Olga Borodina and Violeta Urmana make a solid Laura and La Gioconda, respectively, but mezzo Irina Mishura really scores as La Cieca, the blind mother of the heroine. Aquiles Machado is an acceptable Enzo, a good singer without an especially attractive voice [at least at this performance]. but baritone Zeljko Lucic exhibits a strong and wonderful sound throughout. One incident illustrates the fact that too many opera newcomers – while their presence is welcome – don't understand exactly how to behave when it comes to showing their appreciation of the singers. For instance, Machado did a fairly strong rendition of “Cielo del mar” but choked on the final note – yet he got bravos from some members of the audience. Polite applause, certainly no rude boos – but bravos? For choking? This was definitely the case of people applauding a great aria and not the singer. Newcomers to the opera should remember that they should become a little more seasoned before they applaud, hiss or yell “Bravo!” When in doubt, wait and see what the rest of the audience does. Whatever its flaws, La gioconda deserves its place in the repertoire. Ironically, the people who got the biggest applause of the evening weren't any of the singers but rather the aattractive young dancers featured in the ballet sequence [One can only imagine the curses coming from the backstage dressing rooms afterward.] Although opera fans and ballet fans occasionally overlap, generally this is not the case. It is likely that the operagoers at this performance overpraised the ballet, which was pretty and nice but probably not that spectacular to the initiated. DIE TOTE STADT. Erich Wolfgang Korngold. New York City Opera. September 27th, 2006. This was an excellent production of Korngold's deeply moving and intensely romantic masterpiece. Employing film strips, slides and screens that seamlessly blend with the actors and props on stage, this Frank Corsaro staging of the opera [the films were made by Paul Chase on location in Bruges] creates a dream-like effect that adds to its mesmerizing and sensuous [not to mention sensual] quality. The story deals with a bereaved husband who meets a woman who reminds him of his late wife and emerges as a cautionary tale of keeping ties too strongly with the past and of pursuing an illusion. It is one of the greatest studies of grief and loneliness ever crafted. Although saddled with a cold, soprano Susan B. Anthony [sic!] sounded pretty good as Marie and Marietta. Dan Charmandy may not emerge as one of my favorite tenors, but his voice is powerful enough to handle the difficult role of Paul. Baritone Keith Phares as Frtiz made a favorable impression on the audience with his rendition of “Pierrot's Lament.”The score was generally conducted with panache by George Manahan. Although the movie strip and slide show approach may not work for most operas, it is a perfect fit with Die Tote Stadt. And the music ... Although the act one duet is always singled out as a sublime moment in the score, the opera is actually filled with great music including two other beautiful duets. Wunderbar! -- William Schoell. Ramos (left) and Smith in "Lens"
LINDEMANN YOUNG ARTIST DEVELOPMENT PROGRAM CONCERT. Sunday, December 4th, 2005. At the Metropolitan Opera House, Lincoln Center, New York City. This program takes talented young singers and trains them in a one to three year program during which they perform exclusively at the Met in smaller roles, all the while being groomed to take on bigger challenges. This concert officially introduces these artists to the public. Mezzo Tamara Mumford and baritone David Won opened the program with a selection from L'italiana in Algeri while New York tenor Dimitri Pittas and bass Jordan Bisch followed with a piece from Mozart's Die Entfuhrung Aus Dem Serail. Pittas was particularly impressive in a piece from Donizetti's L'Elisir d'amore. Soprano Wendy Bryn Harmer, along with Jordan Bisch and tenor Russell Thomas, scored in a trio from Faust; Thomas was heard to strong advantage in another trio from Rigoletto with Bisch and Mumford. The other singers – all first-rate – included sopranos Lisette Oropesa, Jennifer Black and Joslin Romphf, who teamed with Mumford for a quartet from Peter Grimes; and mezzo Kate Lindsey, who joined Harmer and Oropesa for the famous trio from Der Rosenkavalier. Perhaps the star of the evening, however, was soprano Alyson Cambridge, who was heard in the act 3 quartet from La boheme [with Black, Thomas, and Won] and made quite an impression on the audience. There were eleven singers and nine numbers. Perhaps next year they should have eleven numbers and give each singer a solo? The concert was followed by a buffet and drinks on the Grand Tier of the Met attended by Met general manager Joseph Volpe and other luminaries. All in all, a fine evening at the wonderful Metropolitan Opera. Next time, however, the Met should have much better hors d'oeuvres, please. 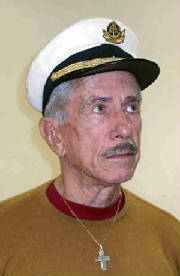 William Schoell. ZAZA. Ruggiero Leoncavallo. 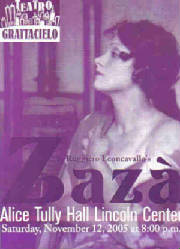 Presented by Teatro Grattacielo at Alice Tully Hall, Lincoln Center, NY. Saturday November 12, 2005. 8 PM. Zaza may not be in the league of Leoncavallo's masterpiece Pagliacci, but it is a worthwhile, tuneful little verismo piece that can come alive with the right singers. The story concerns a performer who falls in love with a man who turns out to be married with a child, creating many tears and much wringing of hands. The music is particularly good in the latter half, with Leoncavallo skillfully bringing to life the torments and emotions of the characters. The main theme that opens the opera is a striking one. 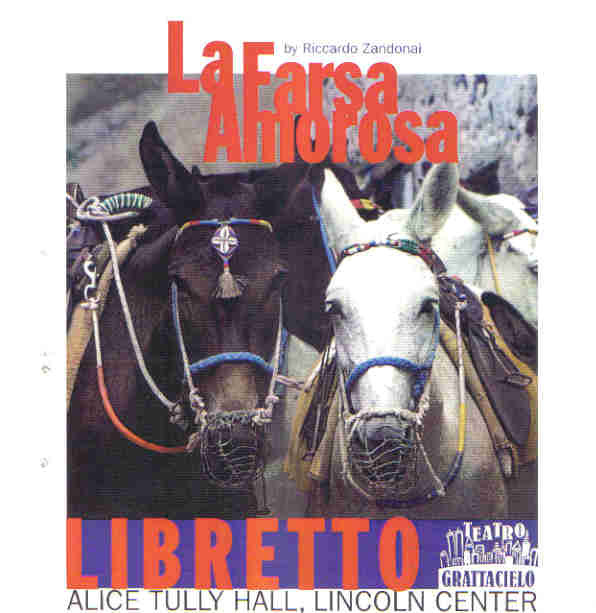 This one-evening performance presented by the Teatro Grattacielo was a showcase for soprano Aprile Millo, who did a nice if unspectacular job but had her fans – which seemed to consist of most of the audience – on their feet cheering. 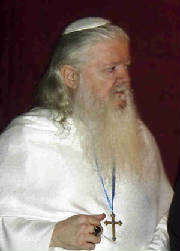 Stephen Gaertner as Cascart did a splendid job with his one special aria, and Gerard Powers also won applause as Milio. Eugenie Grunewald, Megan Monaghan, Jayoung Yoon, Daniel Lee, Mark Womack, Anthony Pulgram, Young-Bok Kim, Stephan Kirchgraber, Aida Baligh, Luis Emilio Cabrera, Kimiko Hata, and Angelica Asaro rounded out the cast. The Teatro Grattacielo Orchestra was well conducted by Alfredo Silipigni, who had a real feel for the material. The Teatro Grattacielo should be commended for their productions of often lesser-known verismo works that deserve a wider audience. While Zaza is hardly in the same class as Pietro Mascagni's magnificent Guglielmo Ratcliff, which the company has also done, it is easy to take and melodious enough to be quite engaging at times. A nice job. William Schoell. ROSARIES AND VODKA. Written and Directed by Daniel Haben Clark. At La Mama March 24th – April 10th, 2005. 212-475-7710. www.lamama.org. Th – St 8 PM; Sn 2:30 PM and 8 PM. A young Irish Catholic woman, Posey (Melissa Nearman), marries a charming, attractive – but alcoholic – man who is unable to provide for himself, let alone his wife and children. 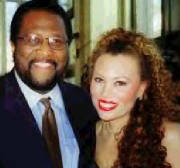 Although the church allows her to divorce the man, she isn't permitted to marry anyone else as long as he's alive. She becomes involved with a variety of men over the many years, most of whom want to marry her, but her answer is always the same. Posey's suitors include a soldier who is killed in the war, a much older Brazilian millionaire, and a flamboyant gigolo type who seems much more interested in getting to know her handsome grown son, Sonny (Brendan Burke) than Posey. Meant to be an indictment of the Catholic Church, the play can also be taken as a study of religious stupidity and masochism. [Some audience members may want to slap Posey across her face and tell her to get a life!] Constructed more along the lines of a screenplay than anything else, Rosaries and Vodka consists of many vignettes covering Posey's life, loves, family and friends. Rosaries and Vodka is undeniably entertaining, with many amusing lines and sequences, although there are times you wished it cut a bit more below the surface and developed a few more of its many, many characters (several cast members do double and triple duty) and sub-texts. There are comments on the probability that most priests are gay, and it is inferred that Sonny was molested as an altar boy [not that homosexuality and pedophilia should be confused] and that he is well-known among certain fashionable gay types such as Noel Coward and Tennessee Williams etc. etc. – but none of this interesting stuff is explored much more than that in the script. Still, the play does work pretty well as a character study – we see Posey learning to fend for herself and trying to become established as a businesswoman – and it gets points from this reviewer because it moves fast (despite all those scene changes!) and is never boring. I also love the final line, which I won't reveal here. 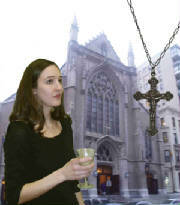 I do think that a play indicting the Church could have used some scenes with a priest or two or maybe inside a church or with a church group– there's not much religion in Rosaries and Vodka, but perhaps we should be grateful for that. More reviews to be posted soon.